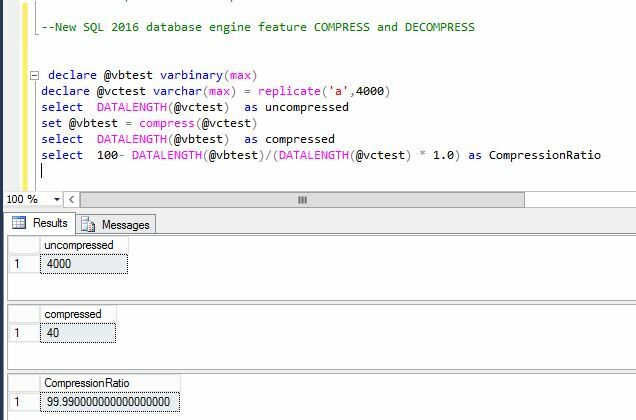 SQL server added new function Compress and Decompress scalar valued function that take char/varchar as input and output a GZIP compressed varbinary data. 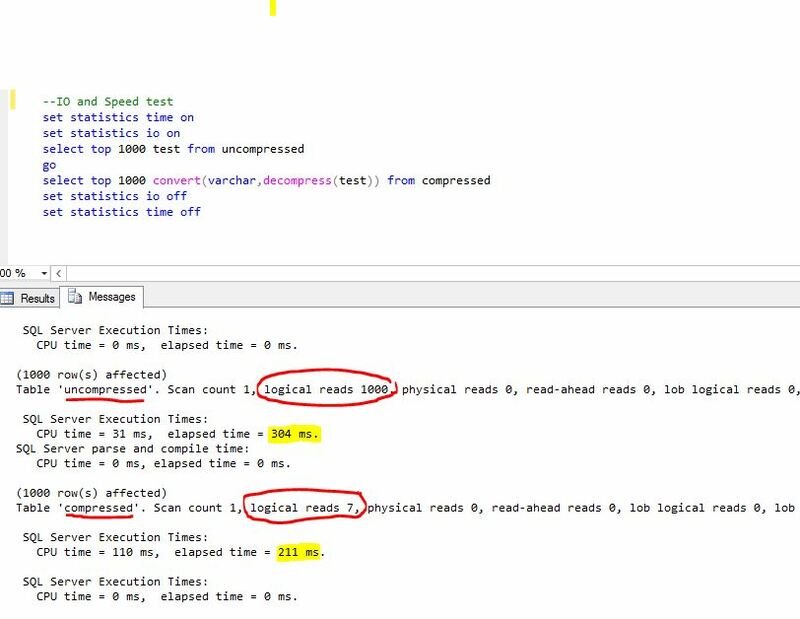 This feature allows us to use column level compression of char/varchar data and reduces the cost of IO. Lets look at this in a detail example. 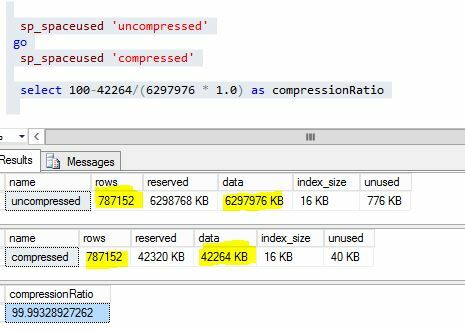 Summary of comparision matrix between compress function and regular table we achieve 99% savings on storage on certain situations and achieve even more space when used in conjunction with row and page compression.